To a lot of people, their phone is their best friend. This tiny device can connect you to people around the world with only a few clicks. The problem with phones is that a paid line can be expensive. Did you know that there are places to find free SMS and free phone calls online? These are called Voip providers. Voip providers use the cloud to connect people to wifi because it’s done this way, some companies can offer their basic services for free. One of the most popular Voip companies is Pinger. Pinger has been in existence since 2006. This company offers cross-platform texting and calling between smartphones. Their phone services are available for residents in the United States and Canada. If you use the Pinger text services, you can reach 35 countries worldwide. When you open a free account with Pinger, you will be given a unique number just for you. This number can be kept as long as you have your account with Pinger. With a free Pinger account, you will get 10 minutes to talk per month and unlimited texting. There is a Pinger web page service that allows you to send texts directly online, computer to computer, but if you want to keep your texts discreet, don’t use this service. Pinger is surprisingly simple to use. Currently, there have been more than 121 million phone numbers given out, over 100 billion text messages sent, and over 3 billion calling minutes used, all for free. Pinger had one goal in mind when they started their online service, to reinvent mobile communication, and so far, they’re doing great. If you want to try this free phone service online or with your Android or iOS phone, download Pinger now. For more of the best Voip provider sites like Pinger, browse our list below. Get a free number for your friends, your family, your lovers, and more. CloudPhone is one of the best sites like Pinger. 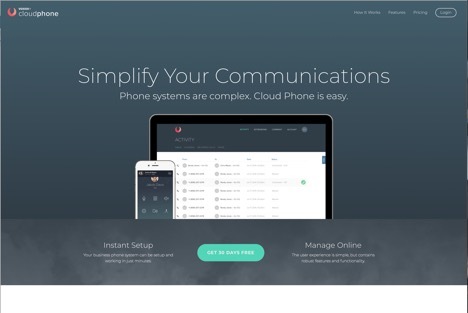 CloudPhone simplifies communication. This cheap Voip service is great for individuals and small businesses. CloudPhone can be instantly set up in minutes and all your features and functionalities can be managed online or with their app. There is no extra hardware to install, the costs are lower and there are no contracts, and all your options are scalable so you can customize your plan to fit exactly what you need, no more, no less. 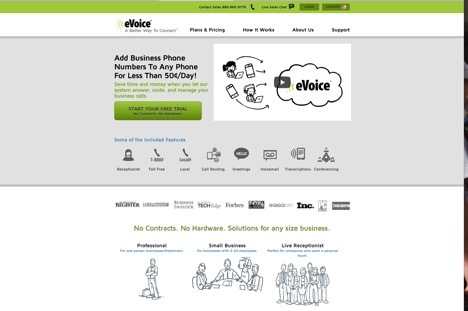 One of the best voip providers similar to Pinger is eVoice. eVoice keeps you connected to the important people in your life, whether their family members or clients. With eVoice, you can choose a number, toll-free or local, greet callers professionally, manage your services, route calls anywhere, get voicemails, audio files, and more. Try this Voip phone service now for 30 days, you won’t be disappointed. This business IP phone service works with every budget and every size company. 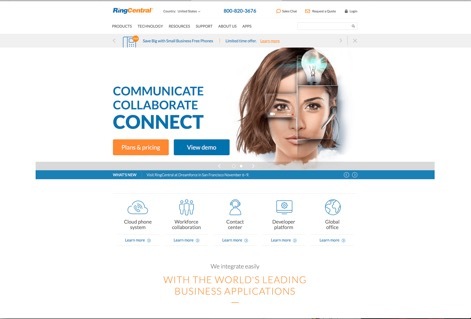 RingCentral is a Voip phone service alternative to Pinger that’s available in the United States and Canada. Plans vary by location. With RingCentral, you will get smart managing on your computer, tablet, and mobile. RingCentral also gives you toll-free minutes, a private number, unlimited calling, call management, phone system administration, and more. Trusted by over 350 thousand companies, RingCentral is one of the best Voip phone services for any company. 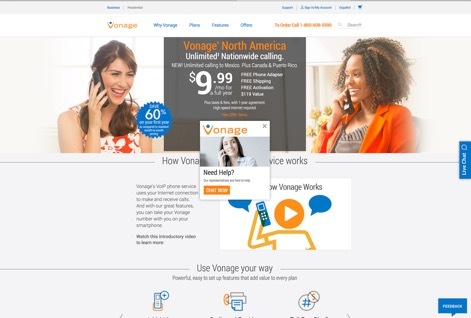 Vonage is available in the United States, Canada, the Philippines, and other locations worldwide. This cloud-based phone service taps into your internet to give you a crystal clear phone call each time you need to communicate. This Vonage Voip phone service will save you a lot of money because their monthly fee is only a small percentage of what you already pay. Vonage can use your existing number, setup is done in less than 5 minutes with no additional equipment, and 24-hour support is available to help you with any question you might have. Hundreds of thousands of companies are already using this alternative to Pinger called RingByName. RingByName features fax, call recording, virtual extensions, analytics, caller id, toll-free numbers, business SMS, extensions, and more. This Voip phone service has a lot to offer, maybe too much. You can start using RingByName and get access to all their services for only $24.95 per month. 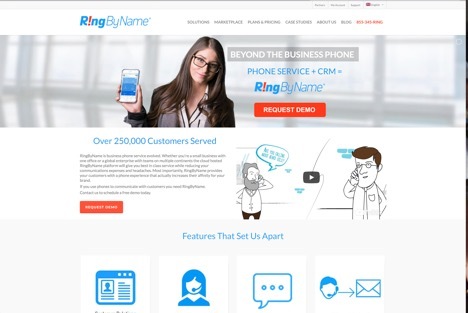 If you’re not sure, request a demo to try RingByName for free to see just how amazing this business IP phone service is.